Location of Kayak-King tours Pembrokeshire, Wales. 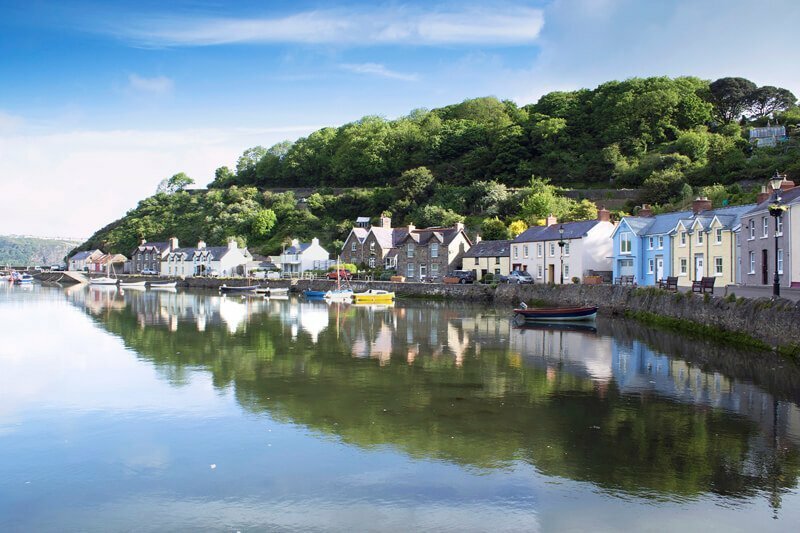 Fishguard is a short drive from any location in Pembrokeshire. Once you arrive in the harbour we are in the main car park. Look for our van with KAYAK-KING written on it. Leave Haverfordwest following signs for Fishguard A40. At the roundabout in Fishguard (with the cannon in the middle) take the second exit. At the bottom of the hill go over the bridge and take a left and then a left again into the car park – we are in the Kayak-King van. On the main road go south following signs to Fishguard. After entering Lower Town Fishguard take a right at the bottom of the hill and then a left again into the car park – we are in the Kayak-King van. Leave St Davids on the A487 (Signposted Fishguard). At the roundabout, take the 2nd exit onto A487.